A recently published study by University of Toronto researchers in the psychiatry journal Addiction shows that, contrary to popular belief, opioid-related deaths have rapidly increased in Ontario between the years 1991 and 2010. Opioids are a broad family of drugs that act as depressants for the central nervous system. The primary use of these drugs is medicinal. Medical professionals often prescribe opioids, such as morphine, as pain-relief medication. However, opioids are widely known for their addictive properties and ability to induce feelings of euphoria that motivates some to pursue them for recreational purposes. Due to these properties, opioid use without strict supervision of medical professionals can be dangerous and even lead to death. The researchers investigated all opioid-related deaths in the aforementioned period with records from the Office of the Chief Coroner (OCC) of Ontario. A total of 5,935 deaths were examined. The investigators also estimated the total years of life lost from opioid-related deaths by applying life expectancy statistics for Ontarians. The study reported an increase of 242 per cent in opioid related deaths in the 20-year period, with the greatest increase among individuals aged 25-34 years. Due to the increased number of young lives lost, these deaths are a large social burden, with considerable economic consequences. The cause of concern is the fact that the majority of deaths were unintentional. Interestingly, the report asserts that the recent rise of opioid related deaths is largely due to the increase in prescription opioid medications in recent history. Many people who die from opioid use began with prescriptions from their doctors. Medical practitioners have been prescribing opioid drugs more often than they used to for pain relief and increasing prescription doses when effects are not optimal. This has lead to many patients receiving opioids in exceptionally high doses. There is a lack of evidence supporting the efficacy of the long-term use of opioids to treat chronic pain that is not related to cancer. 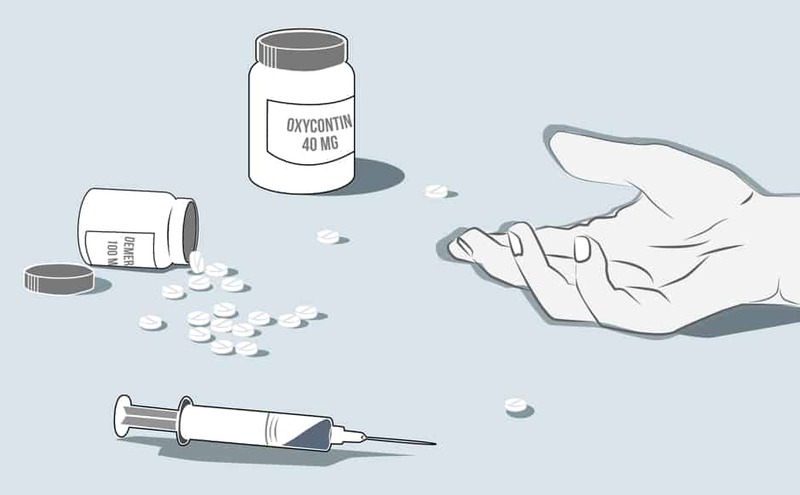 The increasing dispensation of opioids is therefore controversial in academic circles, with many policymakers and clinicians apprehensive about the safety of these drugs. In addition, many young people are now experimenting with opioids partly due to the misconception that since these painkillers are commonly prescribed drugs, they must be safer than other street-bought drugs.